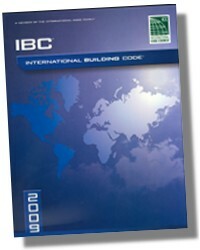 A “must-have” for anyone who uses the International Building Code®! It enables readers to easily identify the significant changes that occurred between the 2003 IBC and 2006 IBC editions, and provides an analysis of the effect each change has had on the code’s application. Coverage reflects those provisions with special significance, including new and innovative design ideas and technologies, modern materials and methods of construction, and current approaches to fire safety, life safety, and structural stability. 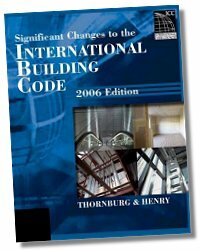 Useful to architects, engineers, inspectors, building and fire department personnel, and countless others in the construction industry, this outstanding resource is a one-stop guide to the many important changes in the 2006 International Building Code. Prior to employment with ICC in 2004, he spent nine years as a code consultant and educator on building codes. Formerly Vice-President/Education for the International Conference of Building Officials (ICBO), Mr. Thornburg continues to present building code seminars nationally and has developed numerous educational texts and resource materials. He was presented with ICBO’s prestigious A.J. (Jack) Lund Award in 1996, recognizing his outstanding contributions in education and training. 336 Pages - 8-1/2 x 11in.